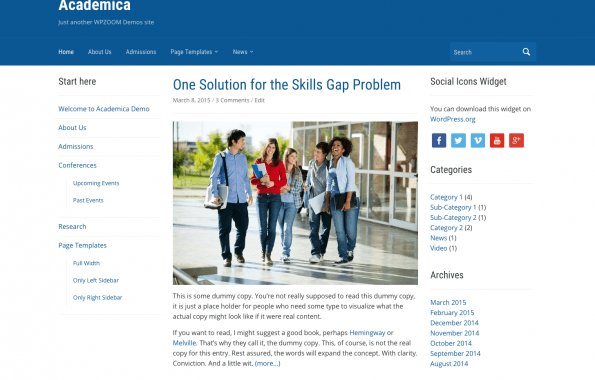 Academica Pro is a modern, flexible and responsive WordPress theme with numerous custom page templates. 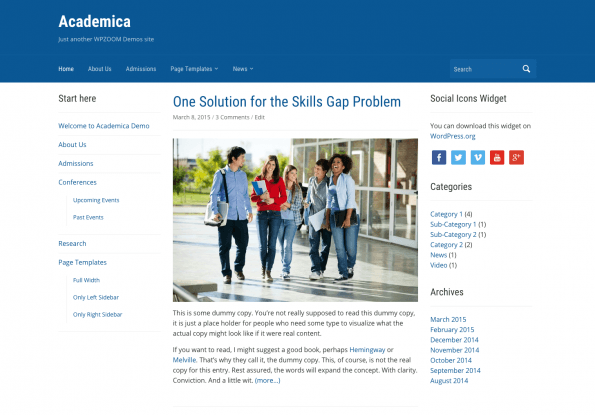 This theme is better for education websites, such as universities, schools, colleges, but will also fit just any business-oriented website. The theme includes WPZOOM Framework, Featured Posts Slider, Easy Color Styling, 12 Custom Widgets, Dynamic Homepage Builder and many other features.